Andrew is a very experienced commercial and chancery advocate who regularly advises clients and appears as an advocate in commercial disputes involving breach of contract and the interpretation of clauses; in particular, disputes relating to unpaid or contested commissions, breaches of joint venture agreements and fiduciary duties as well as agency disputes. Andrew has an in-depth knowledge of financial mis-selling claims of financial products as well as tax avoidance schemes and unregulated collective investment schemes and has acted both for and against claimants and has vast experience of acting both for and against financial advisers. Andrew has dealt with a number of mis-selling claims relating to overseas property investments in Spain, Portugal, Croatia, Cape Verde Islands, St Vincent and the Grenadines, St Kitts, and Cyprus; many of which have involved jurisdictional challenges on conflict of laws grounds. Andrew regularly acts in group actions and very recently acted for six investors in the case of Hartland and Others v Buccament Bay Resort Ltd  EWHC 2027 (Ch) arising from the mis-selling of timeshare contracts in St Vincent and the Grenadines through the Harlequin group of companies. In addition, Andrew’s practice regularly involves an international element with various issues such as the enforcement of foreign judgments in the Courts of England and Wales and anti-suit inunctions. 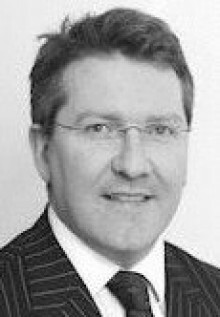 In particular, he has recently acted in cases involving claims under personal guarantees relating to banks based in Gibraltar, Dubai and the Republic of Ireland. Andrew has notable experience of handling contractual disputes on behalf of notable football and rugby union clients. Acting for a financial adviser being sued by a Premiership and England footballer for alleged mis-selling of financial investments; a claim for damages of £1.5million. Acting for a Premiership and England footballer in a contractual dispute. Acting for the ousted chairman and a number of directors of a football club seeking to stop by injunction an administration process taking place. Acting against a Premiership club commercial director in a dispute referred to arbitration. Andrew is very familiar with the content and areas of controversy of Rugby Union Premiership contracts for players and coaches. Andrew is an arbitrator and an accredited commercial mediator, who is regularly appointed. Andrew was also called to the Bar of Northern Ireland (2011) and the Bar of Gibraltar (2014). Andrew is registered to accept Direct Access instructions. Andrew has had a number of articles published over the last few years, in particular: Bias in Arbitration for the Korean Arbitration Journal; Intentional wrongdoing inflicted upon bank customers  3 JIBFL 175; and 'Have the risks of ADR escalation clauses reduced?' published in (2016) 82 Arbitration 16-21.